Stretch the Ride was started as a vision in 2001 and came to fruition in 2010. Our team has been motivated by the late William “Stretch” Smaltz, previous patient of the Pottstown Regional Radiation Oncology practice, and owner of Smaltz Harley Davidson in Eagle, PA. The support of his wife, Karen and daughter, Kelly have encouraged us to fulfill the mission of our foundation in Stretch’s honor. Philanthropist to many organizations including but not exclusive of Philadelphia Ride for Freedom, victims to the 2006 Amish schoolhouse shooting, rescue program for neglected horses. 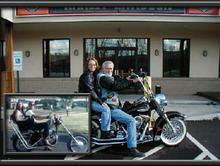 Owners of Smaltz Harley Davidson in Eagle, PA since 1993. Parents to Kelly Smaltz. Past president of the Eastern Harley-Davidson Dealer Association. 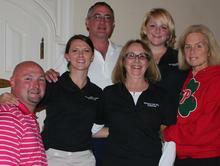 families affected by the burden of cancer.